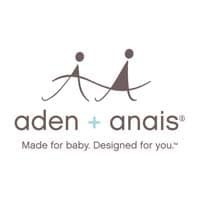 AdenAndAnais.com is the official website and online store of aden + anais. The company specializes in baby products including diapers, wipes, swaddles, blankets, bibs, bedtime essentials, bath and body products, clothing and gifts. There are boy, girl and gender neutral clothing. Different types of swaddles, blankets and bibs are available. There is free shipping for all orders over $80 in the United States. The company also sells its products in Canada, the United Kingdom, Germany, France, Italy, Spain and Australia. Adan + Anais have a special boutique collection called white label that sells designer clothes, sleepwear and other essentials for babies.